Acute Stress Disorder & Posttraumatic Stress Disorder Australian Guidelines for the Treatment of Guidelines Summary. The Australian Guidelines for the Treatment of Acute Stress Disorder and Posttraumatic Stress Disorder were approved by the National Health and Medical Research Council, July 2013. The development of the Guidelines has been generously supported by the Department of �... The Australian Treatment Outcome Study (ATOS) is the first large scale longitudinal treatment outcome study of persons with heroin dependence to be conducted in Australia. ATOS is coordinated by the National Drug and Alcohol Research Centre (NDARC), and is conducted in collaboration with the Drug and Alcohol Services Council (DASC) and Turning Point Alcohol and Drug Centre. Read "Factors associated with 12 months continuous heroin abstinence: findings from the Australian Treatment Outcome Study (ATOS), Journal of Substance Abuse Treatment" on DeepDyve, the largest online rental service for scholarly research with thousands of academic publications available at �... The Australian Treatment Outcome Study � implications for treatment philosophies, policy, political processes and practice. treatment programs in NSW correctional centres over a three and a half year period to December 2010. This evaluation This evaluation forms part of a broader initiative, the Corrections Treatment Outcome study (CTOS), which was designed to gauge the... Results: In this study we found that 67% of patients who presented with tennis elbow received relief through steroid injections either alone or in combination with tennis elbow band or nonsteroidal anti-inflammatory drugs. The use of either tennis elbow band or non-steroidal anti-inflammatory drugs or injected steroids made no statistical difference to the outcome. 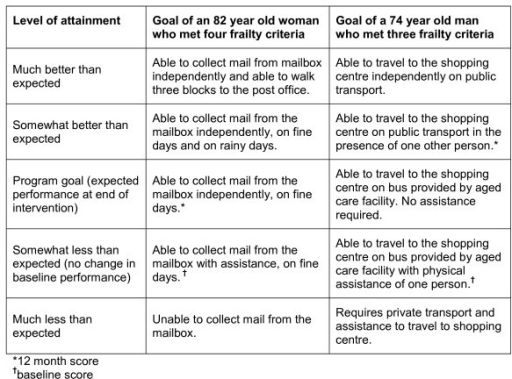 Examining outcomes and the quality of services in D&A treatment. Professor Nicholas Lintzeris MBBS, FAChAM, PhD Director D&A Services, South East Sydney LHD... The Australian Treatment Outcome Study (ATOS) is the first large scale longitudinal treatment outcome study of persons with heroin dependence to be conducted in Australia. ATOS is coordinated by the National Drug and Alcohol Research Centre (NDARC), and is conducted in collaboration with the Drug and Alcohol Services Council (DASC) and Turning Point Alcohol and Drug Centre. 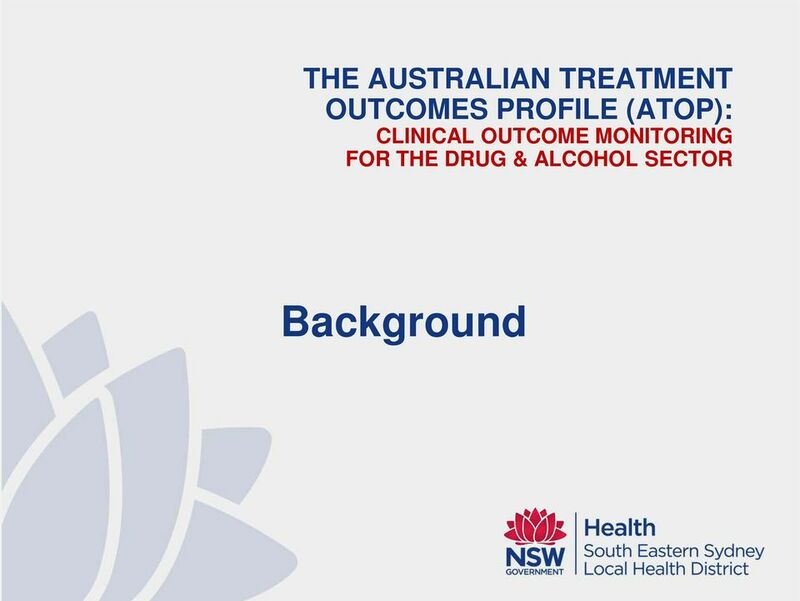 As part of the Australian Treatment Outcome Study (ATOS), 177 (88%) heroin users entering detoxification (DTX) and 66 (83%) heroin users not in treatment (NT) were interviewed at baseline and 3 months to examine drug use, risk-taking, overdose, crime and psychopathology outcomes.